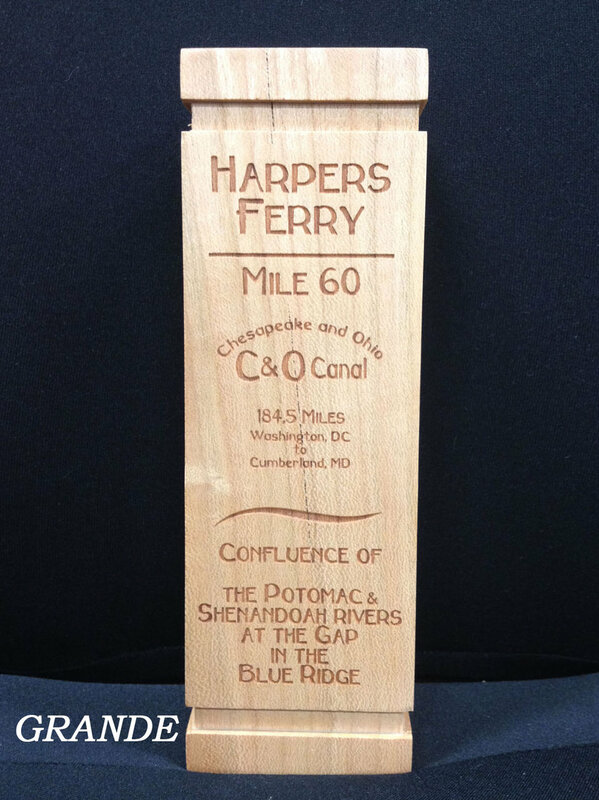 100% hand-made and engraved by Studio Workshop in Cumberland, Maryland. Triple finished. 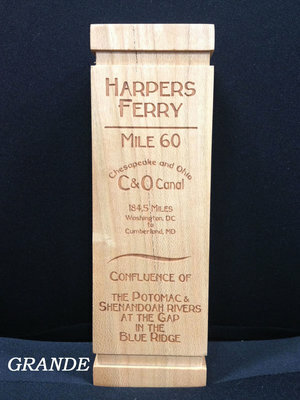 Cherry wood mile marker #60 replica -- 7 inches tall, 2 3/4" square with inscription Harpers Ferry Mile 60, Chesapeake and Ohio Canal, 184.5 miles, Washington, DC to Cumberland MD, Confluence of the Potomac & Shenandoah Rivers at the Gap in the Blue Ridge.